Started in 1970 as a trading company, Bemo Rail decided – after much demand from the market – to develop its own shunting installations in 1984. Six years later the production activities were expanded with the assembly of crane tracks. Since then Bemo Rail consists of two departments: Rail Technology and Shunting Technology. In 2006 we moved to a new and larger premises in Warmenhuizen, just above Amsterdam. The combination of a modern office, a logistically well-equipped production facility and high educated employees makes it possible to execute our products and services qualitatively, efficiently and quickly, with a good price/quality ratio. – Render durable and customer-specific services by professional and multi-purpose teams. 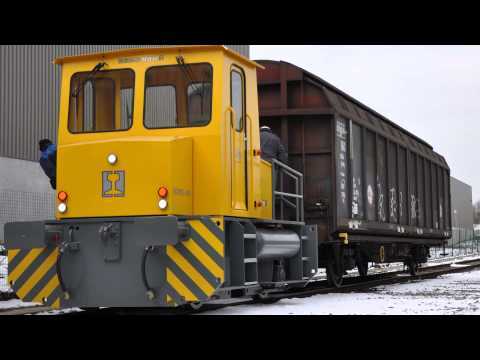 – Remain prominent in the market for rail constructions worldwide. – Remain involved in the initial stage of projects, which results in qualitative, price-conscious and practical solutions. – Become market leader for shunting systems and shunting locomotives, with functionality optimally related to price. – Be distinctive in upgrading and modernizing existing locomotives. – Using durable materials and methods is embraced as a principle by Bemo Rail. Due to the growing demand from the Far East we decided to open an office in Singapore in 2013, named Bemo MMP Rail Systems Pte. Ltd. Nowadays our organization is more than ever able to work flexible, quickly and completely fulfilling our customers’ wishes all over the world!